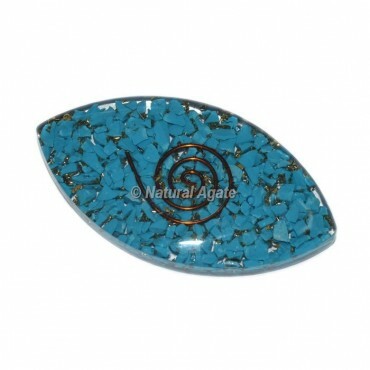 Buy Turquoise Eye Orgone Cab at wholesale price.Turquoise is a powerful healer which enhances intuition and promotes effective communication. It is good for stabilising mood swings and instilling inner calm. Turquoise strengthens the meridians of the energy body, and it works especially well on the throat chakra.